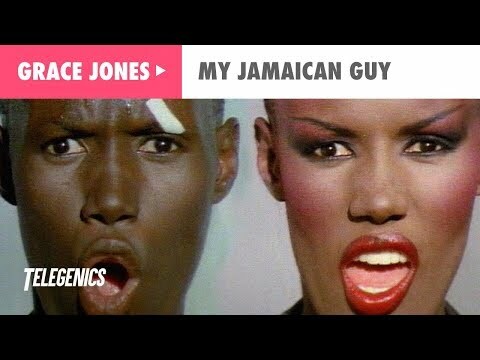 "My Jamaican Guy" was the lead single to Grace Jones' 1982 album Living My Life, her 3rd and last album recorded in the famous Compass Point Studios in Nassau, Bahamas. The single was released in January 1983. The song was released in various remixed forms and was a sizeable hit. It was also featured in her music documentary A One Man Show, in which Grace kisses her own image.